Harry, who has been visiting Lloyd in an asylum for the past 20 years, tells Lloyd that he has a kidney disorder. Lloyd who never showed any reaction suddenly jumps out of bed and confesses he has been deceiving Harry as he was "only pretending to be sick." Harry collapsed with laughter thinking he's been zapped. Harry & Lloyd go on a road trip to look for an organ donor, and who did they meet? 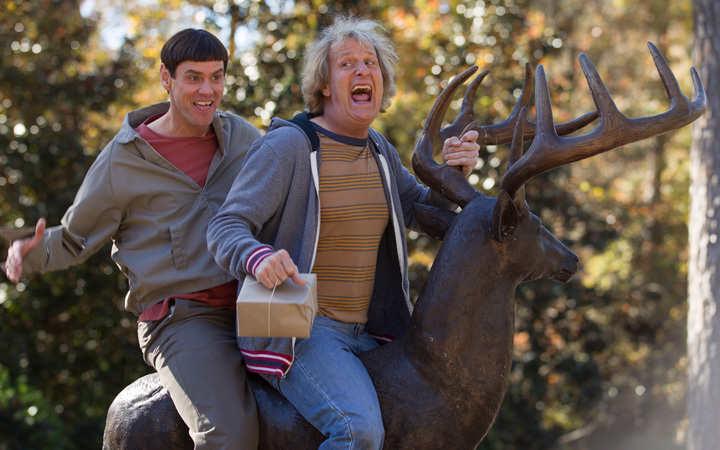 Jim Carrey and Jeff Daniels are back! After 20 years, the most powerful and funniest comedy film starring Jim Carrey returns to Japan! Even now, their goofiness runs wild. Follow them through a ridiculous 2000 mile road-trip in search of a donor!